Spring, the season of vibrant, renewed life is upon us and with it, bringing a whole new, bountiful colour palette to satisfy your sartorial playing. Think pastels but offset, not your typical babyish innocence or usual sorbet sweetness either - although the scheme is stronger in the latter, instead, a more accurate depiction of pantone's spring/summer 16 shade offering is a mixture of the two, without forgetting of course, the slight injection of darker colours in-between the saccharine. Deep burgundy and navy are surprisingly on cards this season, too. With ten hues to feast your desires upon, it is easy to establish that the sartorial combinations are endless, with anything from a primary colour themed ensemble to a dusty rose, blush tinged outfit feasible, it is almost overwhelming and certainly, a hearty injection of colour post bleak winter is needed and most definitely, necessary in the style stakes of the season. 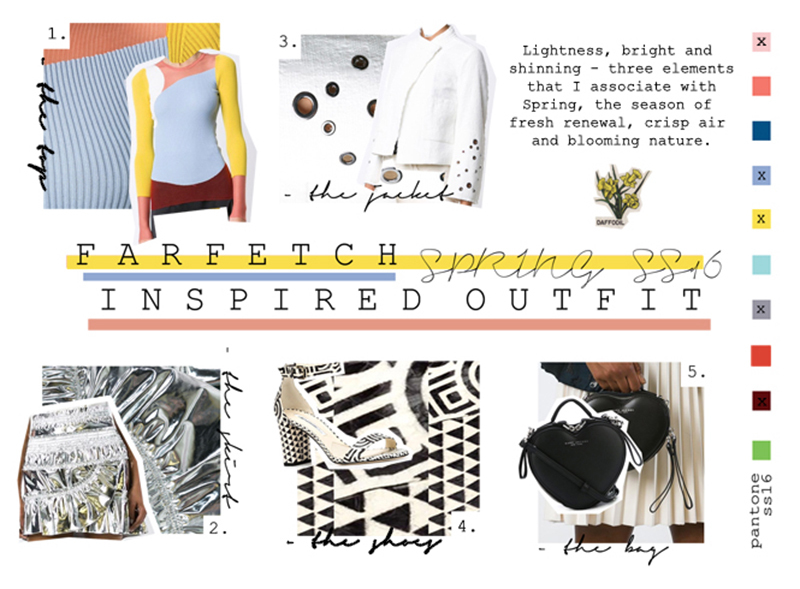 So, when Farfetch (an online store specialising in designer labels that dreams are made of) got in touch concerning a certain spring fashion blogger competition they are hosting (in which you have the chance of wining a £250 voucher to spend on their store, ah) based around a spring inspired ensemble, incorporating the pantone pigments of the season no less - of course - I was immediately interested and inspired. For me, as I began before, the onset of spring is a like breath of fresh air, permitting freedom from the conforms of winter tights, trousers and the likes - the weather gets warmer and the legs come out, free from the bounds of thermal-wear, and for that I rejoice - SKIRTS. Of course, a warmer season means brighter everything, and such shouldn't solely be bound to the glory that is blue skies and golden daffodils, no. And so, in taking inspiration from the style marvel that is Pandora Sykes, I decided upon an item that would see you becoming the human embodiment of a sunbeam emitter, a tinfoil-esque beaming ray of light, if you will, and a delicious one at that - if not in spring, then when can you? Taking full hold of the seasons colour scheme, the fitting long sleeve multi-toned Stella McCartney top makes a striking pair with the Isabel Marant metallic wonder. Its mixed hues incorporate the very nature of the pantone scheme with rose quartz, serenity and Iced Coffee in play. 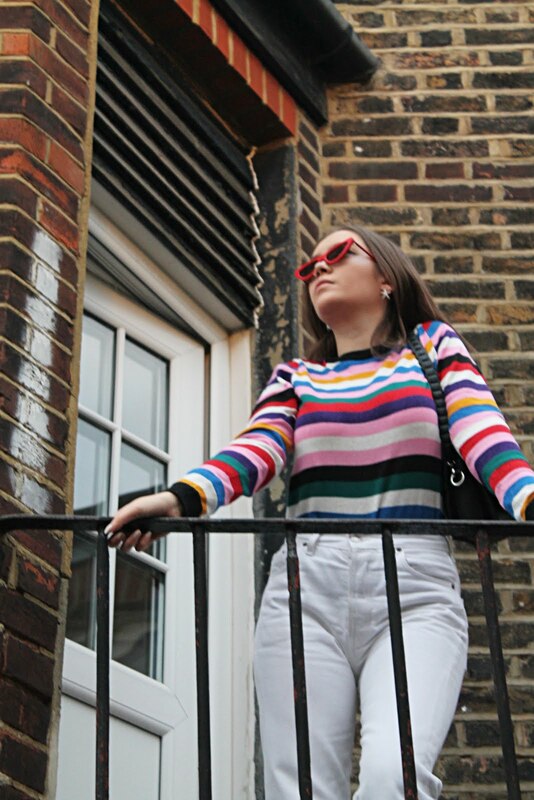 Whether you decide to style the ribbed colour block of glory tucked in to the silver mini skirt - in complete effect or styled in an effortless, half-in, half-out manner - such would assemble as a striking spring outfit, capturing the very bright and rich-in-colour essence of spring. Acting as a calm breeze on the standout stake of rest of the ensemble, outwear takes form as a crisp, fresh, white eyelet jacket. 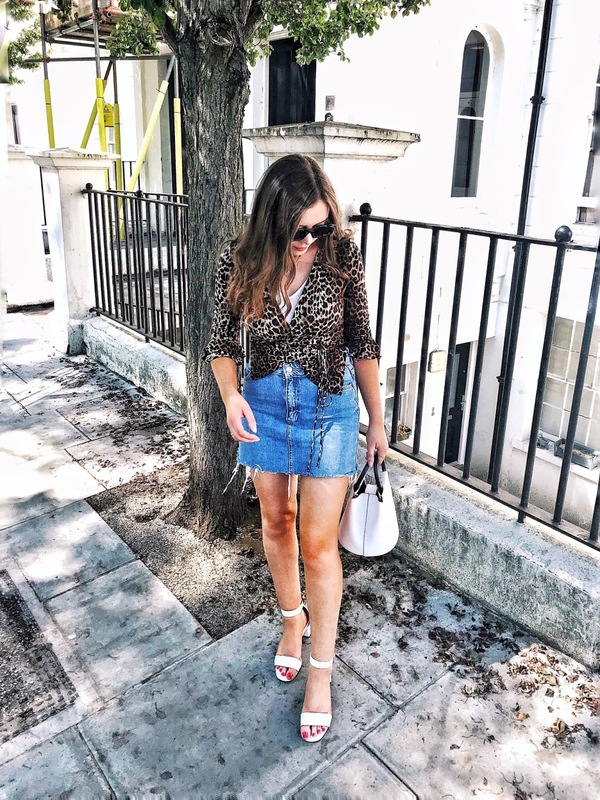 Although slightly triggering for trypophobia if I do say so myself (fear of small holes, really strange but a thing trust me, it's creepy), eyelets are a notable asset, especially when suitably coupled with the silver ruffles of the Marant mini. In an darker offset, black shades and geometric, monochromatic patterned sandal shoes complete the spring look, and yes, black may be a shade relating to the dark days of winter best but, while it is important to utilise colour to its advantage in the bright setting of spring, a fun black accessory such as the Marc Jacobs heart cross-body bag ties the outfit together in a solidifying manner while the fun, heart shape retains the playful vibe that the season of Spring very much inspires. 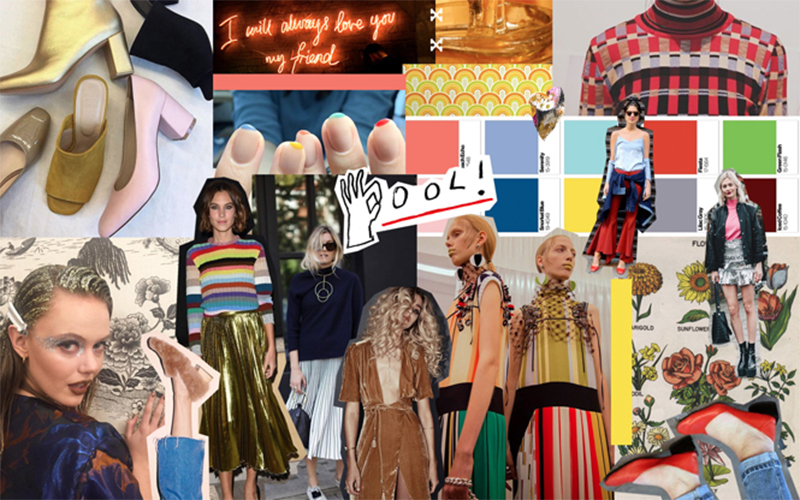 loove your spring moodboard- and good luck with the competition, I hope you win!